Inevitably there’s always an earlier “earliest,” but the earliest amp-in-case I know of was built by Daniel when he was working for Epiphone in around 1936. Nathan I. Daniel was a young electronics wizard who was discovered in the early 1930s by Epiphone’s head engineer Herb Sunshine building amplifiers in the basement of a New York department store (back when department stores really had departments and they did things). In 1935 the Epiphone Banjo Company changed its name to Epiphone and introduced a line of electric guitars and amplifiers called Electraphones, which was almost immediately changed to Electar. These included electric Spanish archtop guitars, Hawaiian lap steels, and little amplifiers designed and built by Nat Daniel. 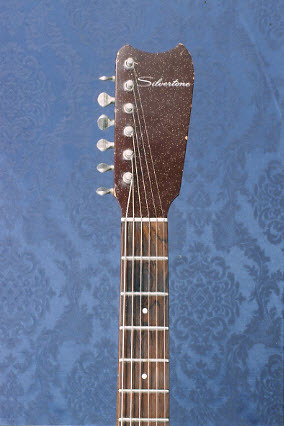 In 1936 Epiphone offered its Electar Model C Hawaiian guitar with an amp built into the case, designed by our friend Nat. For some reason, it didn’t go over very well, and the amp was quickly separated out into the Model C amplifier. In 1938 National-Dobro revisited the idea, introducing the Supro 60 Electric Combination and the Portable Supro 70 Electric Combination. Both of these featured a little pearloid-covered Supro Electric Hawaiian Guitar tucked into an amp in case unit. I don’t think any of these earl amp-in-case designs did particularly well, but then there was something called the Great Depression going on, which had to have an effect on sales. Obviously, Daniel thought the idea was good enough. Daniel worked for Epiphone until 1942. 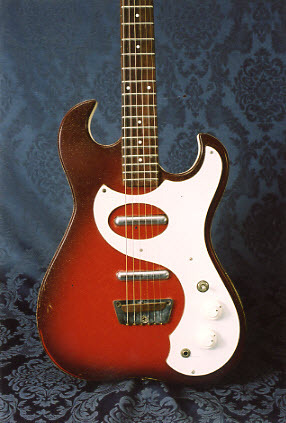 After the War Daniel opened his own plant, Danelectro, in Red Bank, NJ, mainly making guitars and amps for Sears and Montgomery Ward, badged Silvertone and Airline, respectively. 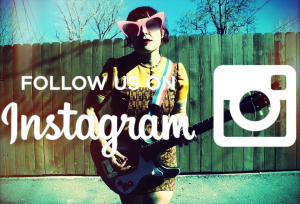 They began selling Danelectro-branded guitars and amps in around 1954. People throw the term around all too often—and ignorantly—these days, but those ‘50s and ‘60s Danos were truly iconic. And maybe the most iconic of Danelectros were the Silvertone Amp-in-Cases made for Sears beginning in 1962. The first were the smaller black-sparkle-finished Masonite one-pickup No. 1448s with an 18-fret fingerboard and a small 3-watt, 6” speaker tube amp built into the case. 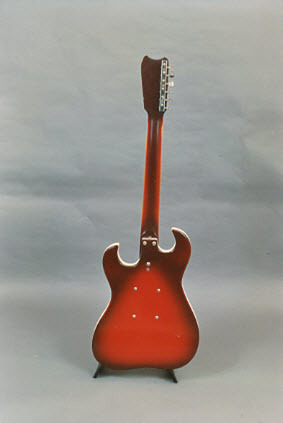 These were followed in 1963 by the full-size red-sparkle-finished Masonite two-pickup guitars with a 5-watt, 8” speaker tube amp, the No. 1449. Let me get this off my chest. Something’s “iconic” when it represents something bigger than itself. “Iconic” does not mean, as modern advertising copywriters throw it around everywhere these days, “his best album,” or, more often, “very famous” or “extremely popular.” Icons are like symbols or metaphors with greater meaning attached, signaling a bigger message or concept. These amp-in-case guitars are icons because they stand for a whole generation and the changes in American culture that were transpiring in the early ‘60s. They were targeted at maturing Baby Boomers who were doing Beach Blanket Bingo with Annette from the Mickey Mouse Club (or, more likely, imagining that they were), switching from Folk to surf rock, starting bands in their suddenly suburban garages. A population on the go, on brand new Interstate superhighways. See the U.S.A. in your Chevrolet. Well, you get the point. I’ll be quiet. 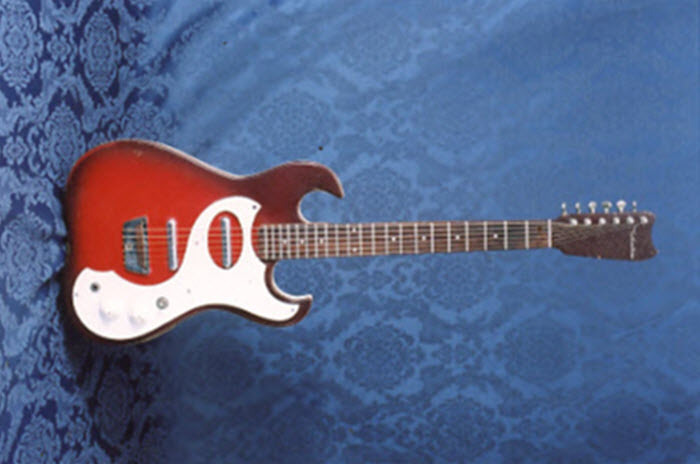 As with everyone else in the ‘60s, Danelectro got bought out in 1966, here by entertainment giant MCA. Whether due to the ownership change or coincidence, the Dano line was shuffled. The two-pickup 1449 was renumbered to 1457 and a bunch of new models debuted. 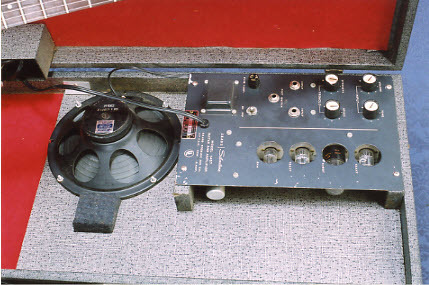 While the amp-in-case concept seemed to continue to 1969, it was no long the iconic versions we know and love. Nathaniel Daniel in my long and endured time as a guitar player was the most talented and inventively creative man in America , or any where else for that matter. I had two 1485-six-ten inch speaker/120-watt powered guitar amps (silvertone) from sears & Roebuck, and a model 57 1476L guitar. My triplet brother and I played central Pa, all through high school and as I so vividly remember, those 1485 amplifier’s were so nirvana and made the hair stand on the back of my neck. I salute you Nat Daniel-my ardent genius. I ahd a Silvertone amp-in-case just like this one in 1969 or 70……it was a cool looking guitar, but the action left a LOT to be desired – wish I still had it, though! I’ll have to restore it to be worth anything on the market. I remember a Guitar Player interview with Jeff Baxter many years ago. In it he described playing most of his parts on “Can’t Buy A Thrill” (Steely Dan’s first album) on a Silvertone amp-in-case (guitar and amp too). Said he just turned everything up all the way and had a ball with it. These guitars and amps certainly knock some folks socks off. My friend and I had been learning and playing Chuck Berry songs just before the Beatles broke in the US. 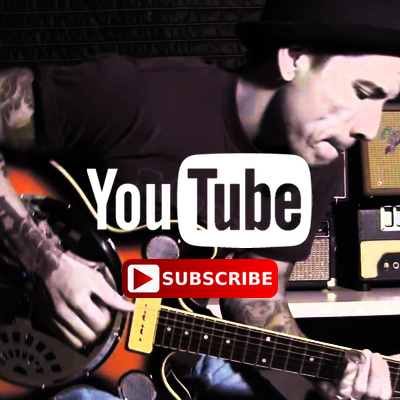 In 1964, he received the Silvertone w/case amp as a Christmas gift. He suspects it came from the Montgomery Ward catalog, a distributor of Silvertone and Airline instruments. He got a nice sound from that guitar, then we both upgraded–he to a 1965 Fender Telecaster and me to a Hagstrom (do not recall model). Every time the guitar/case amp is featured in a column, he kicks himself for not keeping them. 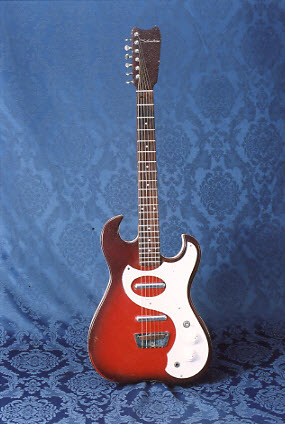 When my cousin and I got electric guitars in 1964 after a couple of years playing acoustics, he got a Silvertone 1448 set–short-scale neck, one pickup, amp in case. I used to laugh at it, until I played it and wondered why it sounded and felt better than my fancier two-pickup St. George (basically a rebranded Teisco ET-200) into my Melody 3-watt amp! ive got this exact guitar off a friend for 14 .00 us only thing is i wish ihad the amp i case the guitar is beautiful if i had the set id play it alot more and just have to say thanks again to my good friend jeremy Fawcett for pointing out this site to learn more about what a treasure i now own .